EU leaders want Greece to remain in the eurozone but to “respect its commitments”, European Council President Herman Van Rompuy has said. Mr Van Rompuy, speaking at an informal EU summit on Wednesday, said continuing “vital reforms” were essential for Greece to overcome its economic problems. The summit also saw France’s President François Hollande challenge Germany’s chancellor, Angela Merkel, on the euro, arguing that the pooling of eurozone debt liability – eurobonds – had to be retained as an option for saving the currency. Merkel has ruled out eurobonds as illegal under current EU law. David Cameron has admitted it is a struggle to convince Germany to end the euro impasse by allowing the European Central Bank to take a more interventionist role, but he claimed there are signs Germany may be shifting its position. The prime minister was reporting to MPs on the outcome of the G8 and Nato summits in the US. US leader Barack Obama has effectively took France’s side against Germany in the EU debate on the financial crisis. Speaking to press in off-the-cuff remarks after a Nato summit in Chicago on Monday (21 May), he endorsed three ideas championed by France on how to stop Greek contagion and how to prevent recession from bringing down Italy or Spain: a massive EU bail-out fund; lower interest rates; and an EU-level strategy on growth. Global stock markets have fallen sharply amid growing fears that Greece may be forced out of the eurozone, with unpredictable consequences for the world’s economy. Greece leaving the euro could plunge Britain into a recession that would cause lasting damage to the economy, the chair of the Office for Budget Responsibility, Robert Chote, has said. Prisoners in the UK must be given the right to vote, the European court of human rights (ECHR) has ruled, though ministers may determine which inmates should be enfranchised. The appeals section of the Strasbourg court reaffirmed its decision that blanket disenfranchisement of all those serving time is illegal and imposed a fresh timetable for Britain’s delayed compliance with similar past rulings. The magnitude 6 earthquake that hit northern Italy at the weekend, killing seven people and toppling historic churches, castles and clock towers, has also taken a huge toll on the country’s culinary culture. Parmesan cheese producers near the quake’s epicentre in flat farmland north of Bologna said 300,000 massive wheels of the cheese that were ageing on tall shelves in warehouses crashed to the ground. 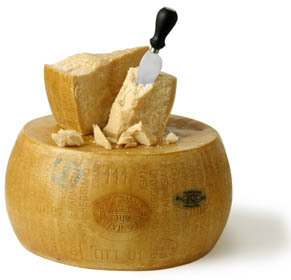 The Parmesan industry is worth €2 billion to the region. The Italian city of Parma has elected as its mayor a candidate representing a rabble-rousing comedian, in the latest example of Europe’s loss of faith in incumbent and mainstream politicians. Federico Pizzarotti, a 39-year-old IT manager standing for Beppe Grillo’s Five Star Movement, trounced a candidate from the centre-left Democratic party, taking 60% of the vote in a head-to-head runoff. Roma (or Gypsy) communities in Western Europe often face similar levels of discrimination as their counterparts in Eastern Europe, according to a new report by the EU and UN. The report said the situation of the Roma is on average worse than their non-Roma neighbours when it comes to jobs, education, housing and health. The survey interviewed 22,203 Roma and their non-Roma neighbours. Those surveyed resided in 11 EU countries with large Roma populations. Finally, the Greek economy may be in tatters but one of the country’s more unexpected exports is doing exceptionally well. More than 70% of the Greek wines entered in the world’s biggest wine competition have won medals, with six bottles taking gold. Aniello Arena has been touted as the next De Niro and tipped for the best actor prize at this year’s Cannes film festival. But if he does win the award, he will be unable to claim his prize in person as he is a former mafia hitman serving a life sentence for his role in a triple homicide. Arena was cast by Matteo Garrone, the director of comedy Reality after delivering strong performances with his prison theatre company and was allowed out to the film’s set on day release.